An American dairy manufacturer is once again facing a possible contamination issue at one of its plants. 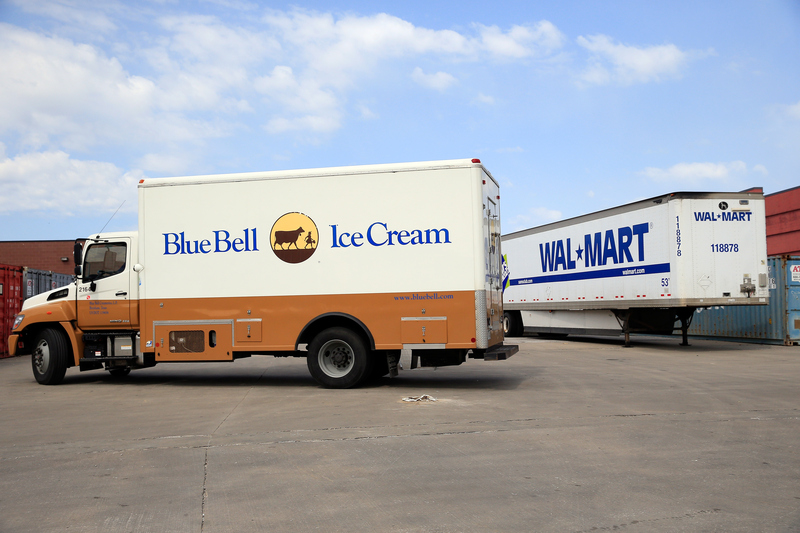 Blue Bell is recalling ice cream, again, and the reason is a familiar one. "Out of an abundance of caution" the company has decided to issue a recall of two popular flavors because of public health concerns due to listeria. A popular ingredient is at the center of the recall. Cookie dough from Blue Bell's supplier Aspen Hills, Inc, might have been contaminated with the bacteria Listeria monocytogenes. Aspen Hills has also issued a recall of their product. The bacteria can survive in anaerobic conditions — with or without oxygen, that is — and is the third deadliest foodborne pathogen in the United States. Concerns about pathogens like listeria is one of the reasons why consumers are advised against the consumption of raw, prepared cookie dough. The bacteria can grow in conditions as cold as 32 degrees Fahrenheit, meaning that any product that was improperly stored or transported could potentially be carrying a L. monocytogenes colony. The flavors from Blue Bell that are affected by the recall are the half gallon carton sizes of Chocolate Chip Cookie Dough and Cookie Two Step, as well as the pint sizes of Chocolate Chip Cookie Dough. The recall was announced by a post on the company's Twitter account. Ten states are affected by the recall: Alabama, Florida, Georgia, Kentucky, Louisiana, Mississippi, North Carolina, South Carolina, Tennessee, and Virginia. Consumers in these states can check the code on the bottom of potentially affected cartons to see if their product is under the recall. If this all seems familiar, that might be because the same company had similar issues last year in 2015. The company was fined $850,000 by the Texas Department of State Health Services. However, the settlement said, "By entering into this agreement, the company does not admit wrongdoing or unlawful conduct." Attorney Bill Marler, a specialist in representing victims of food-borne illness, told Dallas Morning News reporter Karen Robinson-Jacobs that it is "noteworthy" that Blue Bell was fined for the 2015 listeria outbreak at all. "If it is $1 or $1 million, I think any fine for producing bad food sends a powerful message," Marler said. "Any fine is very unusual. That is why any amount is significant." It is unclear whether or not the manufacturer will be hit with another fine, or if additional action could be taken against the company by the government. But the recall was swift, and no illnesses have yet been reported. Consumers with questions can contact 979-836-7977 during normal business hours, 8 a.m. to 5 p.m. CT, Monday to Friday.